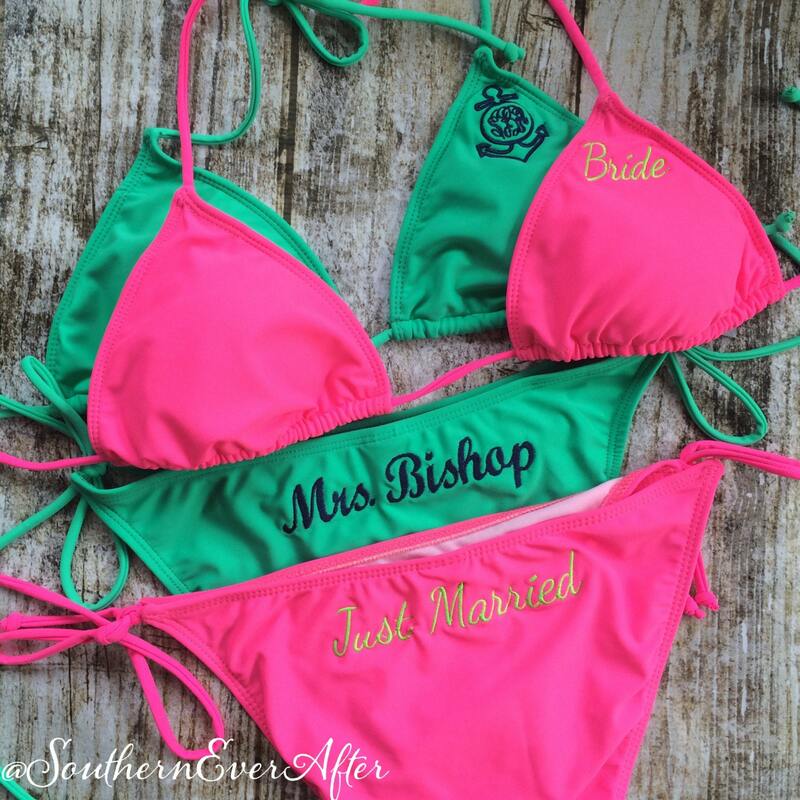 What better way to celebrate your toes in the sand & a drink in you hand than with this cute swimsuit right next to your hubby! This listing is for a white monogrammed triangle top bikini with bottoms pictured in the first photo. 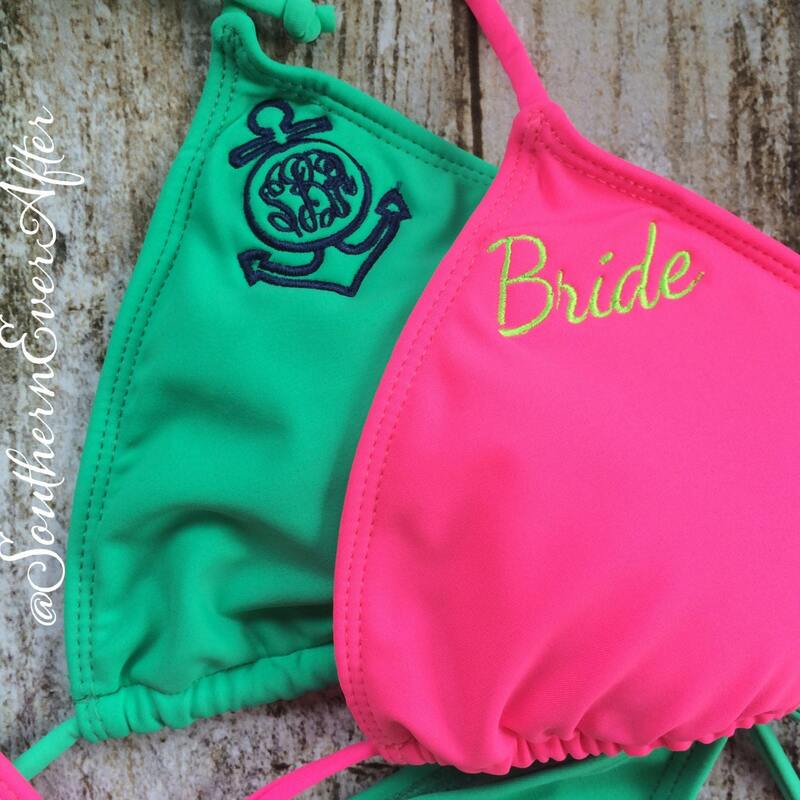 Top is monogrammed with first two initials and the bottoms are monogrammed with your new last name. Want a different monogram or colors? Just ask! Monogram shown in purple. * Example - Jess Potter is marrying Paul Smith - New initials will be "JS"